What Currency Should You Take To Russia On A Visit? The Russian Ruble (RUB) is the official currency of Russia and is as such the accepted legal tender there. However, outside of Russia, it is very difficult to procure the Russian ruble as most banks don’t have stock of the currency. So, if you are not able to get the Russian ruble for your trip there, it raises the question which is the best currency to take to Russia on a visit? Well, read below to find out! Which currency is best to take to Russia? The best currency to take to Russia is either the US dollar or the Euro. Why not the Russian Ruble?? The Russia ruble is a currency which is hard to get hold of outside Russia. 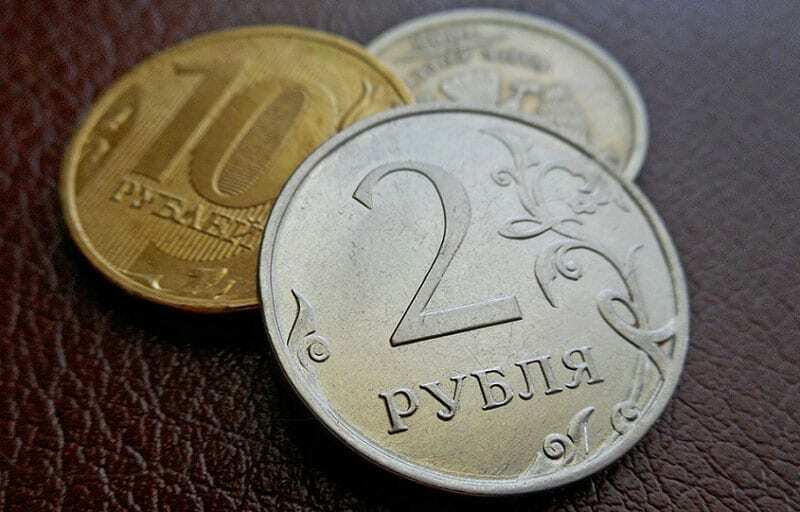 Traditionally, the ruble has been perceived to be an unstable currency as there is high inflation in Russia. Also, the Russian Central Bank has low credibility among the banking institutions of the world. This is because the Russian Central Bank is regarded to be under the control of the Russian political system which in turn is thought to be corrupt and controlled by only a few people on the top. When a country does not follow the rule of the law, trust in its governing and banking system is diminished among other countries. As a result, banks abroad usually do not deal with the Russian ruble and generally do not stock it. Thus outside Russia, the currency is scarce. Where should you exchange your money when going to Russia? We talked about how the Russian currency is difficult to get hold of outside Russia. Your best option to carry money there would be in as US dollars or Euros. So now the question arises, where should you exchange your money when going to Russia. Let’s take a look. You need either USD or Euro for your Russian trip. Look up the exchange rate of USD compared to INR or similarly, the exchange rate of Euro compared to INR offered by your bank or RBI approved money changers in your area. This is so that you find the best exchange rate and save money on currency conversion. You can easily find the best rate using ExTravelMoney’s online forex portal. ExTravelMoney allows you to compare exchange rates of forex services offered by different banks and authorized money changers in India. Once you find the best rate for USD or Euro via the portal, you can buy the currency online and even get it delivered to you. This way you get USD/Euro at the best rate and save money on currency exchange. Better yet, buy a prepaid forex travel card from India, loaded with USD or Euro. You’ll see why in point 4. Once you reach Russia, you can convert your money to Russian rubles. Airports are one of the worst places to be exchanging your currency. The forex dealers there know that the only reason for your being there is to catch a flight to another country. When you approach them for money exchange, easily expect to lose around 5 to 15% of your money in bad exchange rates and currency exchange fees. Since forex dealers at the airport know you’ve to catch your flight and that there is no alternative to exchanging money there apart from them, they act as a monopoly and rip people off. So avoid exchanging money at the last moment from currency exchange counters in airports. We already talked about how airports are one of the worst places to exchange your money. The rule not only applies to source airports but also to destination airports. When you try to exchange your USD/Euro for Russian rubles at the airport in Russia, you’ll be charged high currency conversion fees. Again, the exchange rates you get won’t be great. But if you can’t exchange your money in hand (USD or Euro) at the airport in Russia and don’t have rubles, how can you pay for services like a cab to your hotel after getting out from the airport? Well, read the next point. More than 90% of travellers to Russia recommended this as the best approach. Buy a prepaid forex travel card loaded with USD or Euro, preferably USD. When you get down at the airport in Russia, head to any one of the ATMs installed in the airport which has a VISA symbol on it (depending on the network your card is on). Use your forex card in the ATM to convert your USD to Russian ruble and withdraw rubles from the ATM. Usually, forex cards have 3 initial ATM transactions free after which a fixed fee will be charged on each transaction. Also, the conversion rate of USD to ruble in the ATM will be better than the one offered by the currency exchange counters at the airport in Russia. So use your prepaid forex travel card to withdraw rubles in bulk from ATMs in Russia for the least loss of money on bad exchange rates and conversion fees. If you are wondering why not use a credit or debit card in Russia, then read up on the comparison of forex card credit card and debit card. Forex card has many advantages over them and is usually the cheaper option among the three when used abroad. If you are bringing USD/Euro as cash from India, then for immediate use, you can convert a little bit of your money to ruble at the airport in Russia. This is so that you have just enough money to pay for a cab ride to the hotel/city and probably grab something to eat from a restaurant or street vendor outside. Once you get to the city, you can approach a bank in Russia to convert your USD/Euro to rubles. Banks in Russia will give you a much better exchange rate than currency exchange counters in the airport in Russia. Please Note : After reaching Russia, avoid exchanging money at out of bank small exchange office. Their touts may be present just outside the airport in Russia, waiting for travellers to come out so that they can offer good rates on currency exchange. However, most of these are illegal money exchange offices. Also, there are stories of many travellers exchanging their USD or Euro for Russian rubles at such places, only to find out later they received counterfeit currency. Since it’s an illegal exchange house, you won’t receive the paperwork or bill regarding the exchange and won’t be able to provide the necessary proof to the authorities. Best to avoid such money exchange centres and instead go with Russian banks or the currency exchange counter in the airport. Which is the best way to carry and use money in Russia? You looked at the 5 ways of exchanging your money to rubles. So which is the best way to carry and use money in Russia? Calculate the rough total amount of expenses you are going to incur on your Russian trip. Also, include a provision for some emergency money in this total for unforeseen expenses such as hospital fees abroad if you fall sick or extra cash if you miss a flight there etc. Cash is the most popular payment method in Russia and you must have some on you at all times. Only big shopping centres and hotels usually accept credit and debit cards. Most shops and business establishments prefer cold hard cash. So it makes sense to carry at least 50% of your money as cash. Now suppose you are carrying this money in US dollars. Then the first thing you need to do when you arrive at the airport in Russia is to convert some of it into rubles from the currency exchange centre available in the airport. Say around US $100. Since airport currency exchange gives bad exchange rates and charges high conversion fee, converting only a small amount of money for your immediate cash needs till you can approach a Russian bank is a good strategy. Once you head out of the airport, go to a Russian bank and get the rest of your USD cash converted to rubles at better rates than at the airport. Carrying a huge amount of cash with you at all times is not safe, even in Russia. Pickpockets in Russia actually watch out for gullible travellers to prey on. So instead of carrying all your money as cash, carry 50% of it as USD in prepaid forex travel card. There are plenty of ATMs present in Moscow and St Petersburg from where you can withdraw rubles directly using your forex card. The USD to ruble exchange rate will be better than in airport and your forex card may also have first 3 ATM transactions free of charge. Even when a charge is levied, it’ll be a flat fee, unlike credit/debit cards which can charge a flat fee + up to 3% of the transaction as additional fee. Take your international credit/debit card as backup money, only to be used in emergencies when you don’t have any other way to pay. Credit cards charge substantially when used abroad. If you are using them in PoS terminals abroad for swiping, then apart from the exchange rate charges of your credit card company, there might be additional charges like Dynamic Currency Conversion (DCC), and credit card use abroad fee which can range from 2 to 4% of the transaction. Debit cards also usually have these charges. The real kicker comes when using ATMs abroad. Both credit cards and debit cards will charge a flat ATM withdrawal abroad fee + 1 to 3% of the money being withdrawn. However, when using credit cards the charges go even higher. Even using a credit card to withdraw money from ATMs within your home country carries high “Cash advance” charges. This is further amplified when using a credit card abroad for the same. This is the reason why you should carry credit/debit only as backup money. To know the intricate details of charges associated with credit/debit card use abroad, it’s best to contact your card issuing bank. In some cases when banks see their card being used abroad, they may block it for security reasons to prevent fraud. So it’s best to contact your card issuing banks and appraise them of your travel plans before going abroad. Only a handful of places in Russia, such as big banks, high-end hotels and restaurants accept traveller’s cheques. They are an outdated way of carrying money which is now more of an inconvenience rather than a help, now that ATMs can be found almost everywhere in major cities of whichever country you go to. So it’s better to not carry them at all. How much money should you take to Russia? This is just a rough figure of the expenses you can expect in Russia. When going to Russia, you can use this as a reference along with your own expense estimates and accordingly carry the necessary amount of money. An average traveller to Russia can expect a per day cost 3000 to 3500 (Rs 3168 to Rs 3700) Russian rubles. This cost is inclusive of food, accommodation, beverages, entertainment and transportation costs. 1 Russian ruble =1.06 Rs as per today’s RUB-INR exchange rate. Roughly speaking, you can expect the prices of things in Russia to be 1.5 times of those in India. A person can comfortably travel in India for Rs 2000 per day and the same in Russia costs about Rs 3500. How much money can we take into Russia? There is no limit to taking money into Russia. The Russian government does not specify any monetary limits in bringing money into the country. However, if you are bringing money as cash equivalent in value or above $10000 in any currency (including rubles) then you have to declare it at customs after your arrival there. The reason for doing this is so that when you are leaving Russia and if you are carrying more than $10000 or its equivalent as cash, you can proceed through customs smoothly by showing your currency declaration form. If you haven’t declared the money upon arrival and while leaving you still have more than $10,000 equivalent as cash with you, then you’ll be stopped at customs and probably run into legal trouble as the money will be deemed to be earned by you in Russia illegally. However, the Indian government has set limits on how much money a resident Indian can take from India to Russia. A resident Indian is allowed to withdraw foreign exchange up to USD 2,50,000 per year as per Liberalized Remittance Scheme. If you are going to Russia, as per RBI rules you are allowed to take as currency notes and/or coins in foreign exchange to a maximum of USD 2,50,000 per year, either in a single trip or multiple trips combined. 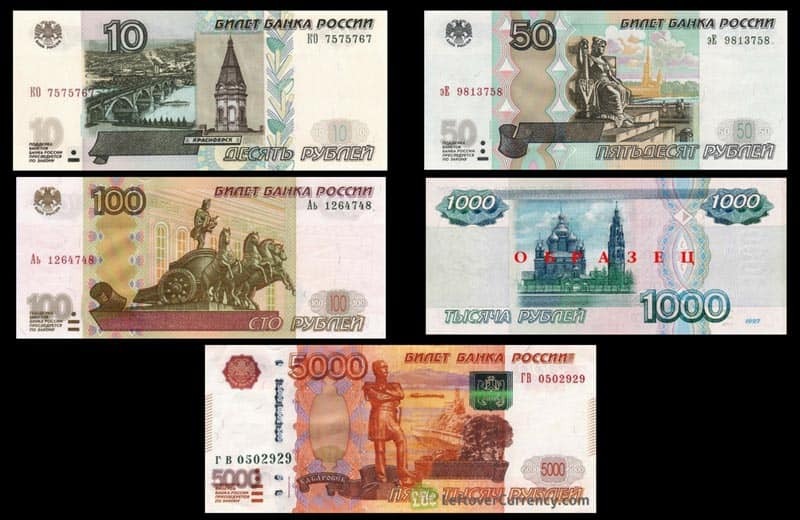 What does Russian currency look like? The Russian ruble is the official of the Russian Federation. It is further subdivided into kopecks, with 1 ruble equalling 100 kopecks. The denominations of the Russian currency notes are – 50, 100, 500, 1000 and 5000 rubles. 10 ruble notes are also in circulation but are rarely seen or used by people. 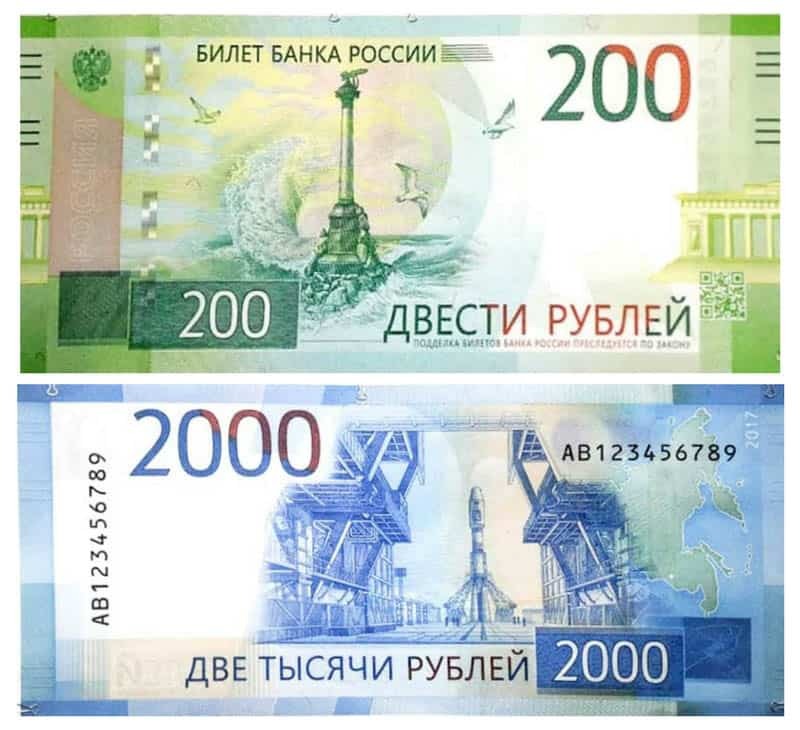 Also, Russia launched two new notes in 2017, the 200 and 2000 ruble notes. The denominations of the Russian currency coins are – 1, 5, 10 and 50 kopeks, 1, 2, 5 and 10 rubles. Now that your trip is over and you have some leftover Russian rubles in hand. 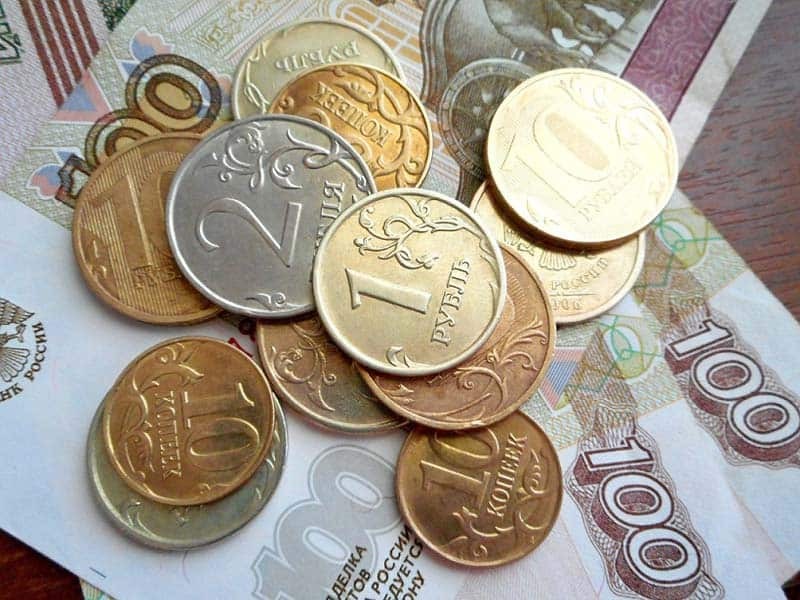 How can you exchange rubles for rupees? Most banks and money changers in India won’t accept Russian rubles for currency exchange. We already outlined the reasons for the lack of confidence in the ruble among the banking institutions in the world. Your best bet is to convert your leftover Russian rubles to USD or Euro in Russia by approaching a Russian bank or the airport currency exchange counter (bad exchange rates). Once you reach India, you can easily convert your foreign currency (USD/Euro) to India rupee through ExTravelmoney. Find the RBI approved money changer in your location giving you the best exchange rate for your USD or Euro through ExTravelMoney’s online forex portal and sell your currency to them online itself. 1. Can we use the US dollar in Russia? Officially you can’t use US dollars in Russia. However, a limited number of hotels and businesses will accept payments in US dollar. The prices of goods and services would be listed in rubles. If a business is accepting your US dollar payment then they would most probably round the amount to the nearest dollar value (after giving bad exchange rates) and thus you’ll lose anywhere between 5 to 10% of each transaction you do. Instead, buy rubles with your US dollars. The official currency of Russia is the Russian ruble. You can convert your US dollars to Russian ruble either from currency exchange centres in the airport in Russia or from Banks in Russia. 2. Are Euros accepted in Russia? In Russia, it is illegal to pay for transactions directly using euros or US dollars. However, in spite of this, few big hotels and businesses will accept payments in euros. Trying to pay in euros will lead to loss of money for you as the exchange rate given by these hotels and businesses would be bad. Also, they’ll round up the total cost to the next whole euro amount. Instead, it is better to exchange your euros for Russian ruble from banks and Russian government approved currency exchange centres. 3. How to get Russian ruble in India? Most banks and money changers in India do not stock the Russian ruble due to scarcity of obtaining the currency and also due to lack of confidence in the ruble. Even if you do manage to find a government authorized money exchange centre having ruble stock for you, they will quote highly unfair exchange rates for the currency since it’s scarce in the market. Instead, either buy US dollars or euros and exchange them for the ruble after reaching Russia. 4. Are there any restrictions on using traveller’s cheques or credit/debit cards in Russia? There is no restriction in using traveller’s cheques or credit/debit cards in Russia. However, if you are bringing traveller’s cheques to Russia (of any value) you are required to declare the same at customs. This should be considered as just another reason to avoid the outdated traveller’s cheques. Also, you should be aware of the charges of using your credit/debit card abroad. These charges could make a huge dent in your bank balance if you are not careful. 5. How much Indian currency can I carry from India to Russia? Resident Indians can carry a maximum of up to Rs 25,000 in Indian rupees to Russia. However, carrying Indian rupee to Russia would not be of any use as you can’t get it exchanged for Russian ruble there. Outside India, the Indian rupee is hardly accepted for money exchange in any country except Nepal, Bhutan and maybe Bangladesh. It is better to carry USD to Russia which has a maximum limit of 2,50,000 as per RBI rule and would be more than sufficient for your travel needs. 6. What currency is better in Russia US dollars or Euros? Both the currencies are equally accepted by banks and airport currency exchange centres in Russia. However, given a choice between the two, we would suggest you go with the US dollar as it is a more universal currency than the euro. 7. Can I take rubles into and out of Russia? Yes, you can take rubles into (if you can get some) and out of Russia without any issues. It is permitted as per Russian law. Some old guidebooks (pre-2006) might say otherwise but it is legally possible to do so. In 2006, the Russian ruble was made fully convertible which means it can be traded without any limitations placed by the government. However, do remember that if you carry rubles outside Russia, you’ll have a hard time getting it exchanged back in your home country (in India too) as most banks and money changers don’t accept Russian rubles. 8. Can we use multi-currency prepaid forex travel cards in Russia? Yes, you can use multi-currency prepaid forex travel cards in Russia. The only limitation is that the card has to be loaded with US dollars and/or euros. You won’t be able to load Russian rubles in your card. « 15 Free Things To Do In Malaysia You Shouldn’t Miss!